Can you buy laser paper from anywhere? Yes, you can. But the quality of paper you get from a manufacturer like HP is generally going to be far better than generic brand you get at the local super store. Sure, it will cost more, but the durability and quality of the document printed on the higher-end paper will be worth it. Thickness: The thicker the paper is, the heavier and more durable it will be. 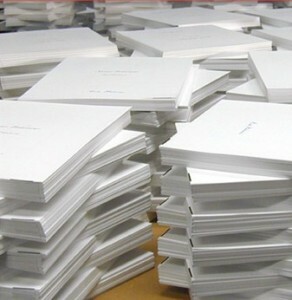 Typically, thicker paper is used for things like report covers and dividers. Sometimes, the thickness makes fusing the toner to the paper more difficult. In this case, you may need to adjust the printer fuser temperature settings. Brightness: Brightness measures the paper’s ability to reflect light. The brighter the paper is, the more the colors will pop. Think in terms of contrast – bright white paper makes colors look more vivid. Finish: The most common special finish is glossy, though matte is also fairly common. Glossy paper tends to be more resistant to water and boasts sharper images. Matte, on the other hand, minimizes the reflectivity and comes across a bit duller and less reflective, and is preferable for black-and-white photographs. Acidity: Laser paper is often acid-free because the more acidic paper is, the easier it will break down over time (i.e. newspaper). Plain laser paper: Standard laser printer paper has less moisture than regular paper. This will reduce the possibility of curling or wrinkling, which is especially essential due to the heat created by the fuser. Card stock: Refer to your user’s guide to see if your machine is capable of printing on cards. Sometimes cards are too thick to pass through certain paper paths. 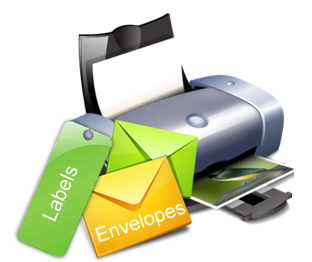 Labels/Envelopes: Labels and envelopes fall into the same category because only types that are specifically marked as supported by laser printers should be used. The reason for this is that labels and envelopes both have adhesive on them. If the wrong type of adhesive gets exposed to the heat of the fuser, the envelope or label will be ruined and could potentially damage the machine. Transparencies: Transparency film is clear paper typically used for projection presentations. Be sure to purchase transparency film specifically designed for laser printers and also be sure to get either color or monochrome transparencies, depending on the machine you are using. 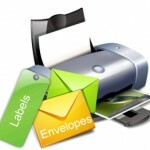 Laser printers are extremely popular and have become a standard piece of equipment in most offices around the world. In general, the paper selection is vast, though certain media types will produce a higher-quality document and some should not be used in a laser printer at all. Use this list to determine which option best meets your needs.